Now, customizing the blog title colour is not so easy. 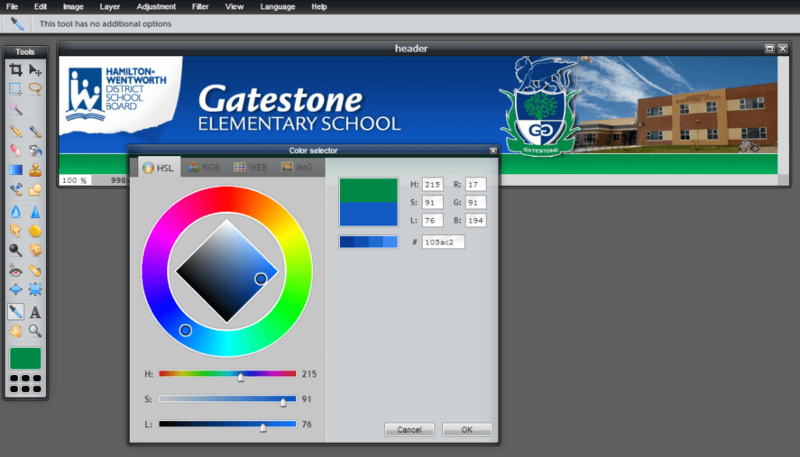 In order to do this you have to customize some code in the CSS file. Say what? I know, that doesn’t sound too user friendly and it really isn’t. I have no idea why this isn’t an option as it certainly is a popular request if you Google and check the message boards. One thing I learned a long time ago is that it is easiest and best to customize a WordPress theme by creating a child of it. The concept is relatively simple: create a folder with a simple style.css file and any other file that you would like to use to override or add on to certain features of the original theme. OK, I just re-read that. I don’t think that clarifies anything, does it? OK – so here are the links and snippets of code I found to help me accomplish what I wanted to do for the Gatestone blog. So, to create a customized version of a WordPress theme you need to know exactly what it is you wish to accomplish and search for code to help you do just that. Here are the sites and snippets of code I found to help me…. PS: This is how to write code in your posts like I did above. I saved this file as “style.css” (change the file type to “All Files” before saving or it will save as a .txt file and won’t work). The key to the above code is the theme template to be used for all primary information and functioning (‘twentyten’) and the version (1.5). 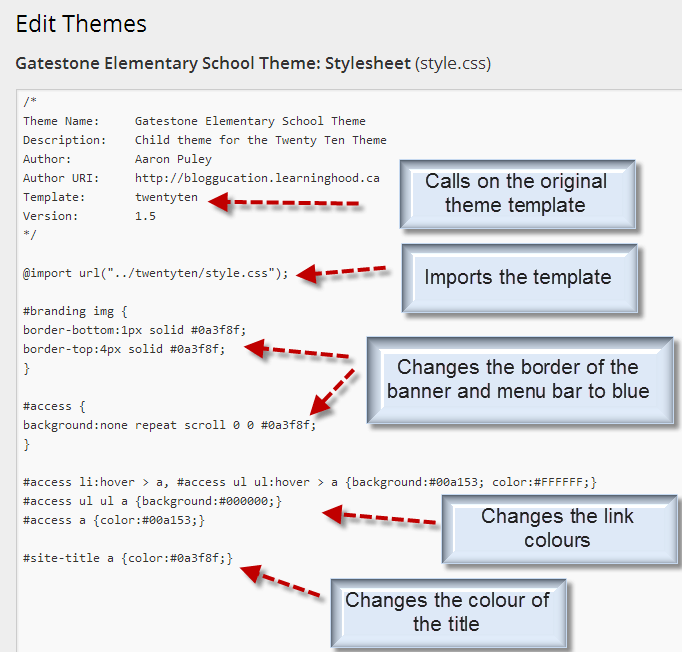 Everything else is only for information except for the last key feature – the importing of the template file’s css. This calls on the original file and then adds anything from our child theme to it. Next, I created another file in Notepad, ‘functions.php’. I pasted the code shared at the top of this post and added my custom colours and coding to exclude all category ID #s except for the one associated with the slug ‘principals-blog’. ….in a folder called ‘Gatestone Twenty Ten Theme’. I right-clicked the folder and ‘Send To > Compressed (Zipped) Folder’ (files have to be in a .zip format to upload), uploaded as a new theme, and activated it. In all, about 20 minutes work – it took me longer to write this blog post.